It’s the season of good cheer and festive gatherings, complete with decorations, lighting, trees and more. While these things help set a jolly holiday tone, they also pose hidden dangers. These tips can help you keep your family and home safe. 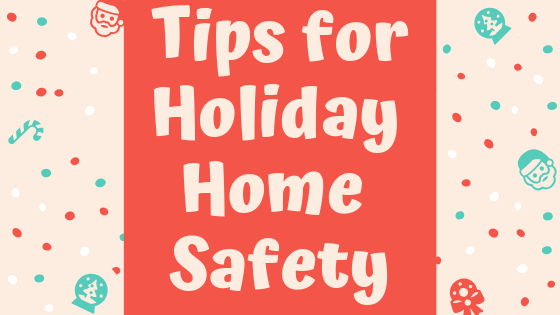 As you're sprucing up your home this season, keep an eye out for these common holiday trip-ups, fire hazards, and other safety snafus. Try to purchase a freshly cut tree, as they are more resistant to ignition. Keep your Christmas tree watered and away from open candles. When hanging outdoor lights, keep electrical connectors off the ground and away from metal rain gutters. Use insulated tape or plastic clips instead of metal nails or tacks to hold them in place. Using a ladder when you put up lights? Choose the correct ladder for the job and double check for a certification mark to ensure your portable ladder complies with applicable standards. Do not use your gas fireplace if the glass panel is removed, cracked, or broken, and only allow a qualified service person to replace fireplace parts. To help prevent CO hazards in your home, have a qualified heating contractor perform a yearly maintenance check of your furnace and venting system, and clean or replace your furnace filter frequently during the heating seasons. Leave a radio or TV on so it looks like someone is home. Not openly display gifts in front of windows. Ask someone to pick up your mail or newspaper if you’ll be gone for longer periods. Not hide the spare key in obvious places. Burglars know to look under doormats, rocks, flowerpots and above the door.